I have not forgotten that I promised in September 2011 to provide some material on the issue of isopsepha as it pertains to Revelation. One of the reasons I have waited is that there are recent publications containing new examples of isopsepha, and I wanted these new archaeological materials to go into my material on isopsepha in this blog; so, please practice the fruit of patience, s’il vous plaît. What does John’s reliance upon numbers tell us about his theology and, therefore, his spirituality. Many modern Christians, at least in the West, have little patience with numerology and regard it as quasi-superstition. Whether numerology whets your spiritual palate is beside the point. Any reading of Revelation that includes the desire to understand its author, as opposed to using the prophecies of John for ventriloquy, cannot miss John’s pervasive reliance upon numerology. John’s numerology includes both cardinal and ordinal numbers. 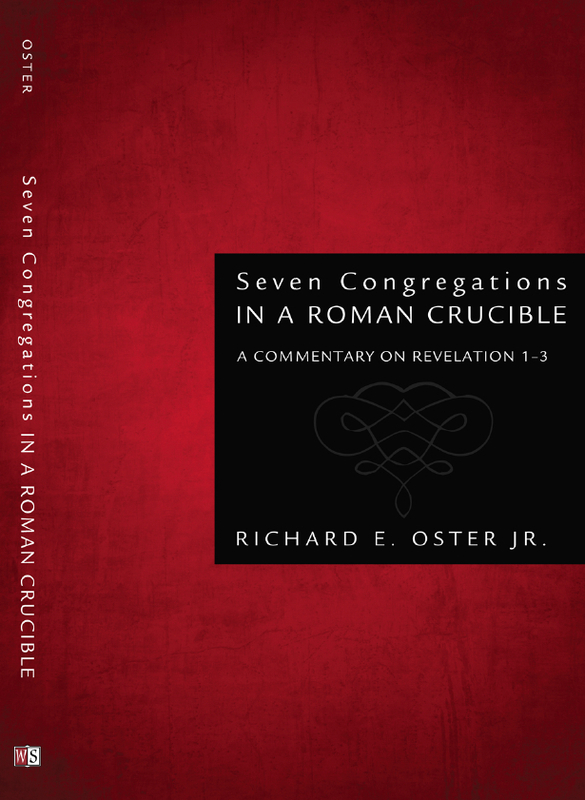 Examples of the former would include references to “seven congregations” (Rev. 1:11), “high wall with twelve gates” (Rev. 21:12), and “one hundred forty-four thousand” (Rev. 14:3). The use of ordinal numbers is seen in the references to “a third of the sea became blood” (Rev. 8:9), the “fourth living creature” (Rev. 4:7), and “the Lamb opened the seventh seal” (Rev. 8:1). So, why are there scores of numbers weaved throughout John’s highly structured prophecies? One of the obvious reasons is that John, like Jesus before him (Matt. 19:28; Luke 22:30), relied upon theologically significant numbers preserved in the Jewish Scriptures. As a Scripture guided Jew, Jesus knew that you cannot spend much time in Scripture without seeing the controlling use of the number twelve to describe the people of God; the same point was self-evident to James who described believers as “the twelve tribes who are dispersed abroad” (James 1:1). Another example of John’s Scripture guided numerology is seen his use of the broadly synonymous phrases, “forty-two months” (Rev. 13:5), “time and times and half a time” (Rev. 12:14), and “twelve hundred sixty days” (Rev. 11:3). All of theses point to a three and one-half year period, mentioned in Daniel, during which God allows his elect to be defeated by enemies. This is certainly the meaning of these numbers in Revelation. This widespread belief in the significance of numbers comes from the conviction of ancient peoples that there is a unity in the physical universe, the cosmos, that is manifested in numerical relationships. This unity in the cosmos was evident, for example, in audible musical tones, in mathematics and geometric relationships, and in the natural sciences in the observations of astronomy. One of the reasons that numbers were a lodestone for the religion and philosophy of ancient peoples is that most of them, unlike the modern Christian West, embraced the idea of the unity (but not necessarily the uniformity) of the universe. For the most part they did not bifurcate religion from the other forms of truth in their experiences. In fact, this impulse toward a theory of a unified cosmos was so strong and widespread that some in the time of John spoke of “one god,” albeit not the God of Abraham, Isaac, and Jacob or in the way Christians understand “monotheism.” Examples of this can be seen in the many inscriptions to a singular god or in the “Hymn to Zeus” by the philosopher Cleanthes [http://www.utexas.edu/courses/citylife/readings/cleanthes_hymn.html]. The reliance on numbers evident in Revelation depicts a spirituality so comprehensive of the cosmos, its structures and its realities – both seen and unseen, that there can be no room for surprise when John’s vision of God’s final consummation of all reality is depicted as a new cosmos, or in Jewish idiom, a new heaven and new earth (Rev. 21:1). Your insights are priceless. Thanks. Are there any special/difficult interpretive issues that come to bear on Revelation because of differences in Roman, Greek and Jewish numerology? Terrell: The basis for particular numbers would be in the Scriptures in some instances for Jews and Christians, but the fundamental idea of numerology is about the same in all of the religions as far as I know. There is a document from the Dead Sea Scrolls that I mention in my commentary called the "Songs of the Sabbath Sacrifice" that really, really enjoys using the number 7.Do you remember when we worked together years ago at HST when you worked on your Guided Research paper? Yes, indeed I remember (1980); I was 24 and now I'm 55. I'm surprised you would remember. And I could do a much better job on that topic today. You challenged me to rethink some of my ideas about the role of the OT in Christianity which continue to serve me well in my ministry. For example, I see the "gospel" to be a lot more rooted in Gen. 1:26ff with the DBR of Jesus to be God's tool for reclaiming Edenic life he intended. I see the Jesus story to be the primary chapter in the larger story of the gospel. The story of God's purpose for man is the gospel, something that has been around since "In the beginning…"(My Guided Research paper was in our pre-computer society. Something you probably don't know: after completing my research for that paper, I sat down and finished writing, and then drove 50 miles to Memphis for your critique. You marked it up and I went home and crashed after having been awake for about 50 hours working on that paper. Then I retyped it. Those were the days! 🙂 )You have helped shape the thinking of knuckleheads like me for a generation and we're all indebted. May God continue to use you in these good ways.